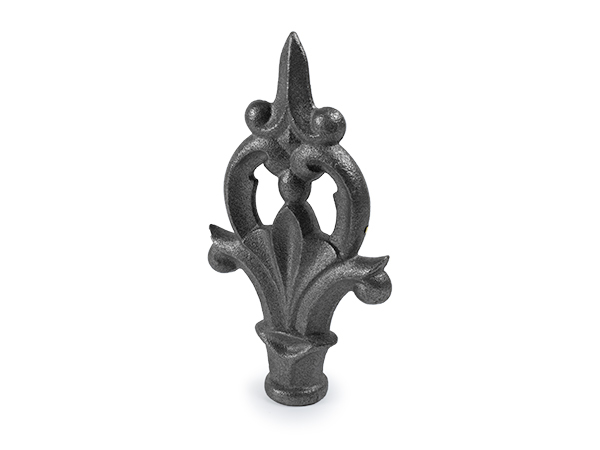 Decorative Iron Spears & Finials - Order Online! Spears and Finials are decorative elements to give your fence a look that goes beyond simple, square caps. Spears of course are all shaped to a pointed end, but the designs vary widely. Some have a safety device, like a small ball, at the end. Finials are elements marking the top or end of some object, often formed to be a decorative feature. Again, with a wide variety to choose from, you can create a fence that is more a work of art than merely a barrier.